Finally, last week, 1901 dished out £1,000 in prize money to the top three winning teams after a fiercely-fought contest in the jam-packed bar. Patrick Stapleton, general manager at 1901, said: “It was a great night, and one of our busiest for some time, as regulars and new-comers alike came to test their general knowledge against each other for the grand prize. After the quiz, winners and losers alike enjoyed 1901’s selection of premium lagers, cask ales, malts and wines. Recently awarded a prestigious Cask Marque, an accolade recognising the quality and care of cask or ‘real’ ales, last year 1901 won the best individual bar/pub award in the Best Employers in Hospitality. 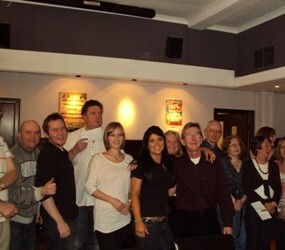 1901 Bar & Grill is located at 1534 Pollokshaws Road in Glasgow’s southside. To reserve a table at 1901 call 0141 632 0161.